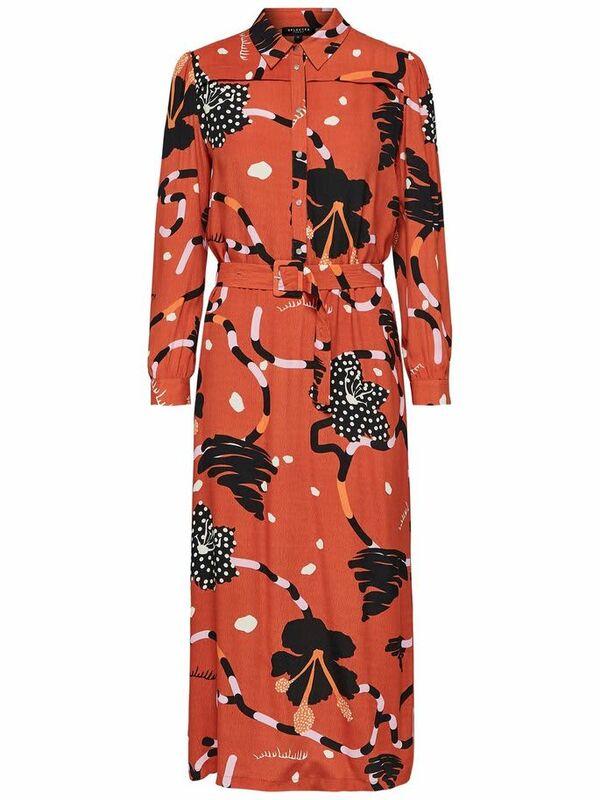 Lightweight and trendy, this elegantly printed maxi dress is made from smooth viscose for a feminine look. It’s very versatile and easy to style with an oversized knit. Flowy quality. Belt highlights your figure. Model is 180cm and wearing a small/36.